The Medicines Control Council (MCC) regulates medicines in South Africa. Without the council’s permission, medicines may not be marketed and clinical trials may not be conducted. The MCC plays a critical role in protecting both the broader public and study-participants against the dangers of unproven medicines. The MCC will soon be replaced by the South African Health Products Authority (SAHPRA). Spotlight asked MCC registrar Dr Joey Gouws and MCC chairperson Professor Helen Rees about changes at South Africa’s medicines regulator. Spotlight: What still needs to happen before the MCC becomes SAHPRA? And, when is this change expected to happen – is the April 1 2017 date that has been quoted in the media realistic? Gouws: On 24 December 2015, the State President, signed The Medicines and Related Substances Amendment Act, 2015 (Act 14 of 2015) into law. However, the said Act has not yet been proclaimed by the President as a number of administrative transitional arrangements require implementation prior to the date MCC would cease to exist and SAHPRA be established. The MCC is working towards the 1 April 2017 date for SAHPRA to be established. Spotlight: By how much have staff levels at the MCC increased in recent years and how much will they increase further once the SAHPRA is fully in place? Gouws: The staff component at the MCC has been increased by 52 staff over the last 24 months with the view to employ another 30 staff members once SAHPRA is fully in place. Spotlight: What is being done to ensure new molecular entities (NMEs) are more quickly registered in South Africa? Can you share any evidence that registration times are being reduced? Is the MCC working toward a target time for registering NMEs? Gouws: Registration timelines for a medicine depends on the submission by the pharmaceutical industry of a quality dossier, with the Regulator having available sufficient resources, with appropriate expertise, to conduct a review of the dossier. Over the last 24 months, additional staff have been appointed at the Regulator and staff have been exposed to various training sessions on regulatory matters. In addition, workshops have been conducted with the industry to explain the requirements for a quality dossier. Registration timelines are still being worked on. Yes, the MCC is working towards a target time for registration of new molecular entities of 36 months. Spotlight: Can you share more detail on what is being done to ensure generic medicines are more quickly registered in South Africa? Again, if you can share evidence of reduced registration times it would be appreciated. An idea of a target registration time for generic medicines would also be useful. Gouws: See the response as per point three, with registration timelines for a generic application of 24 months. Spotlight: At the moment it is relatively difficult to find information regarding the registration status of medicines in South Africa (certainly compared to the FDA). Are there any plans to make registration information, including assessments of the evidence and reasons for decisions, more readily accessible to the South African public? Gouws: Medicine is registered by the MCC at each of their six weekly meetings. Following the MCC meeting, the medicines registered are published in the Government Gazette and on the MCC website, www.mccza.com With the view of the MCC transferring to SAHPRA, systems are under investigation to allow for greater transparency in the decision making process of the Regulator. However, the MCC must take into consideration the provisions of Section 34 of the Medicines Act, dealing with confidentiality. Spotlight: The MCC responded very quickly in relation to ReGenesis in the Free State and other specific cases in recent years. However, quackery and the unlawful marketing of health products remains widespread in South Africa. What is being done to ensure that the MCC has sufficient capacity to clamp down on unlawful marketing of health products, including complementary and alternative medicines and supplements? Gouws: Complementary medicines have been called up in 2014, with certain pharmacological categories of medicines making therapeutic claims to treat a disease asked/instructed to submit applications to the MCC for registration over a period until 2019, based on disease risk. In addition, the maximum levels of certain vitamins and minerals allowed in complementary medicines without requiring the product to be submitted to Council as a high-risk product, have been published. These products require the submission of a so-called orthodox application, which requires safety, clinical, efficacy and quality data before they can be sold. Finally, legislation requiring the label of the product to include a disclaimer that the MCC has not evaluated the medicine for safety, quality and efficacy, has been implemented since 2014. By the implementation of these measures, the public can make an informed decision on the use of these medicines. In July 2016, proposed legislation has been published to address the definition of health supplements, which will allow MCC to have regulatory oversight over this category of medicines, once enacted. 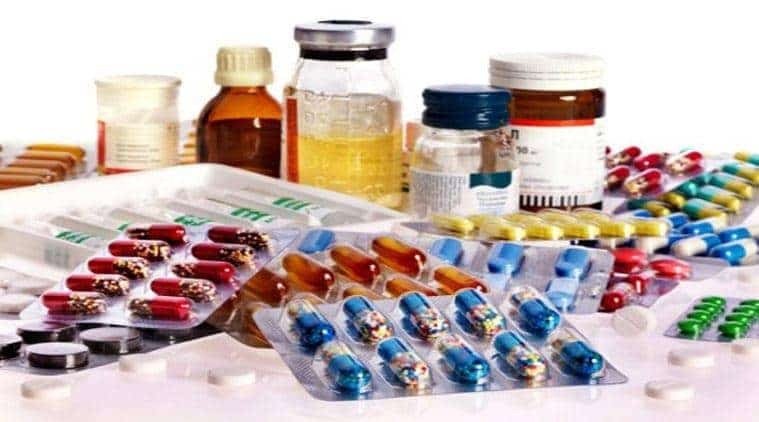 The marketing and sale of unregistered medicine is an illegal activity, which is a matter for the police and the courts and not that of the MCC. The Council’s mandate is the evaluation of a dossier submitted, and the registration of the said medicine, if the information evaluated supports safety, quality and efficacy of the medicine under review. Spotlight: Some commentators and advocates are alarmed by what they see as a lowering of regulatory standards through initiatives like the 21st Century Cures Act in the United States and the Adaptive Pathways pilots in the EU. Can you reassure the South African public that regulatory standards will remain robust in South Africa? Gouws: Measures such as the 21st Century Cures Act and Adaptive licensing are means to allow, in a limited way, access to specific medicines in a controlled matter, without lowering standards but to increase pharmacovigilance monitoring within the space of ethics versus science. The regulatory standards in South Africa have been robust, thorough and in line with international best practices. In addition, regulatory standards and requirements are published on the MCC website for scrutiny and comment by all stakeholders prior to implementation. Spotlight: To what extent and in what ways is the MCC sharing information and cooperating with other regulatory agencies such as the FDA and EMA? PIC/S – Pharmaceutical Inspection Co-operation Scheme: allows the exchange of medicine manufacturing site inspection reports amongst/between regulators to allow/facilitate work-sharing and to harmonise technical guidelines on inspections. ICMRA – International Coalition of Medicines Regulatory Authorities: supports training activities, regulatory cooperation, sharing of regulatory information and concerted strategic leadership. IGDRP – International Generic Drug Regulator’s Programme: supports work-sharing on active substances, mutual reliance in assessment of active ingredients and application of biowaivers. WHO – World Health Organisation: supports medical devices and medicines with respect to quality assurance, safety, medicine access and rational use. EDQM – European Directorate for the Quality of Medicines and HealthCare: supports certification of suitability of active ingredients to the monographs of the European Pharmacopoiea (MCC observer status). In addition, the MCC has signed a Memorandum of Understanding with the FDA and SwissMedic (Switzerland) to allow exchange of information. We are keen to increase the transparency of the work of the MCC including giving more feedback to applicants about decisions made, more opportunities for pre-application discussions with applicants for issues that are unusual and/or of critical public health interest, and more transparency to the broader community about the workings and decisions of Council.’ – Professor Helen Rees, MCC chairperson.